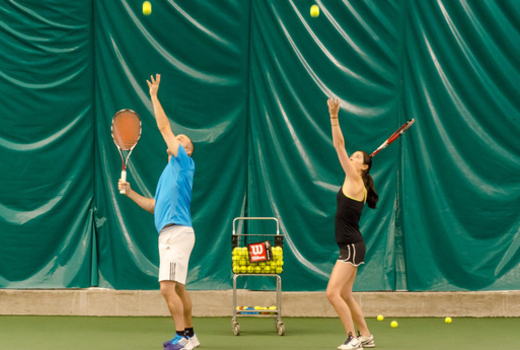 The largest indoor tennis center in Manhattan, the exclusive Sutton East Tennis Club offers small-group adult clinics and sessions for players of all levels. New to the game? No problem; grab the $199 Beginner Clinics (a $425 Value) for five 1-Hour Beginner Clinics. 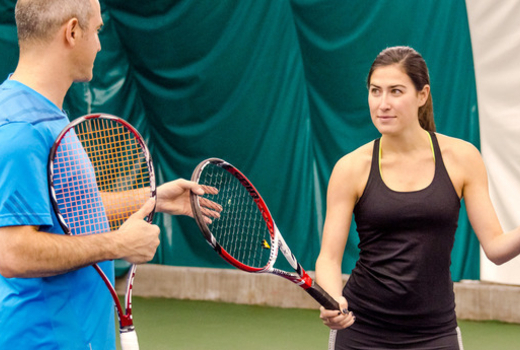 In each session, your trusted tennis pro will guide you through the basics of the game in a small group (of no more than 6), so you can get the right foundations for furthering technique. If you already know a thing or two on how to serve & volley, the $199 Advanced Beginner Clinics (a $425 value) will help you improve your footwork, shots, and consistency, over five 1-hour sessions. Intermediate to advanced players will love the intensity of the $249 pulse for five 2-Hour Drill & Play Classes (a $475 value). Each session consists of an hour of instructed drills, followed by an hour of match play. 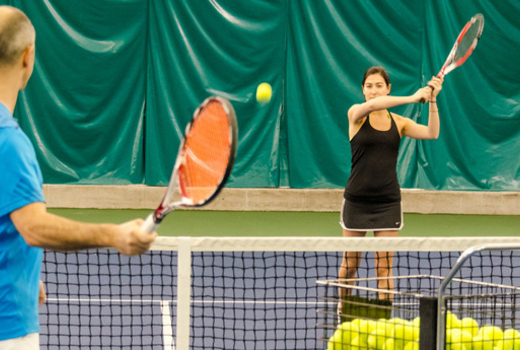 Finally, with the option to also take classes at the nearby Yorkville Tennis Club, you now have 2 locations where you can take your game to the next level! In operation for over 30 years, Sutton East Tennis Club is a Manhattan institution and the home base of some of the city’s best pros as well as other players of all levels. 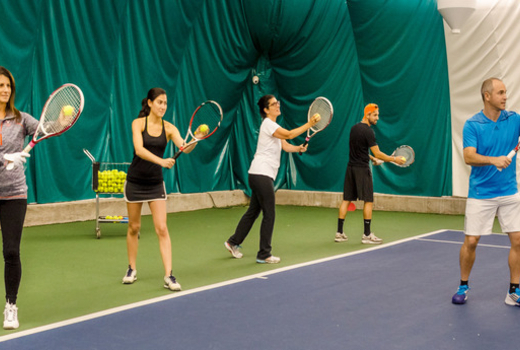 At 45,000 square feet, Sutton East boasts the largest and most sophisticated indoor tennis facilities in Manhattan. The clay court reduces impact on your joints, and the climate controlled interior makes it easy for you to focus, no matter what the weather. Sutton East's sister club, Yorkville Tennis, also offers a customized Deco Turf Surface, similar to the one used at the U.S. Open to ensure a smooth bounce. 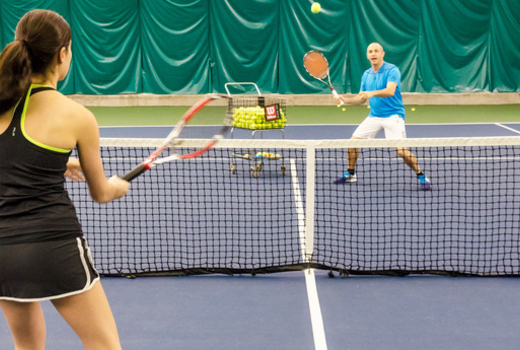 With highly experienced tennis professionals to guide you at either venue, you'll be learning the ins and outs of this sport - while gaining fitness, toning up, and reducing stress! Full class schedules for both Sutton East & Yorkville Tennis Clubs may be viewed here. For players who are new to tennis. Six players maximum per class. Covers basic grips, stroke mechanics, and footwork. Redeemable at Sutton East, Vanderbilt Hall & Yorkville Tennis Clubs. 10 clinics offered each week. View clinic schedule here. Covers improved accuracy, consistency, spin, power and strategy. 40 clinics offered each week. View clinic schedule here. For intermediate to advanced players (level 3.5 to 4.5). Eight players maximum per class. No instruction. First hour of drills, second hour of match play. Redeemable at Sutton East & Yorkville Tennis Clubs. 20 classes offered each week. View class schedule here. Sutton East: 488 E 60th Street, New York, NY, 10022. Vanderbilt Hall: 15 Vanderbilt Ave, New York, NY, 10017. Yorkville: 1725 York Avenue, New York, NY, 10128. May purchase up to 3 pulses for personal use & an additional 3 pulses for gifting. Classes may be redeemed at Sutton East, Vanderbilt Hall & Yorkville locations. Expires Friday June 30, 2019.